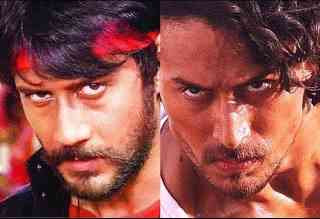 Tiger Shroff is the son of actor Jackie Shroff. His mother name is Ayesha Shroff. Tiger is a good martial artist and working in Hindi cinema from 2014. His first film Heropanti was a good movie and a great hit. He born in Mumbai on 2 March 1990 and now he is 27 years old. His film Heropanti got Filmfare Award for Best Male Debut nomination. 1) Shroff was born as Jai Hemant Shroff, Tiger Shroff is his filmi name. 2) Tiger Shroff helped Amir Khan to build his physique in his film Dhoom 3. 3) He got a black belt in Taekwondo. 5) Heropanti was the first film and success on box office. Shroff next film will be Munna Michael. Disha Patani is started his career in 2015 with Cadbury Dairy Milk advertisement. That time this was very popular. She worked with Shroff in a music video Befikra as well as Jackie Chan's Kung Fu Yoga. 5 points to know about Disha Patani. 1) Disha Residence is in Bareilly, Uttar Pradesh. 2) In an interview, Tiger Shroff said that he is very comfortable with Disha on set. 3) She finished his south film Loafer in only two months. 4) She got the first movie in Telugu film industry. 5) Her first Bollywood film Neeraj Pandey's MS Dhoni. Disha and Shroff, both are good actor and actress for Bollywood Industry. Both are always focused on work.